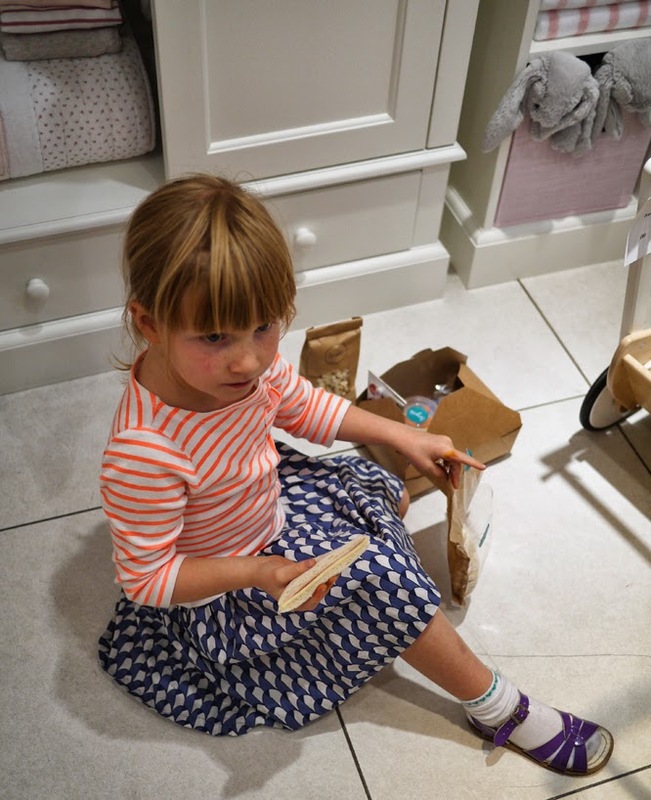 Normally I try to keep shopping and children apart. 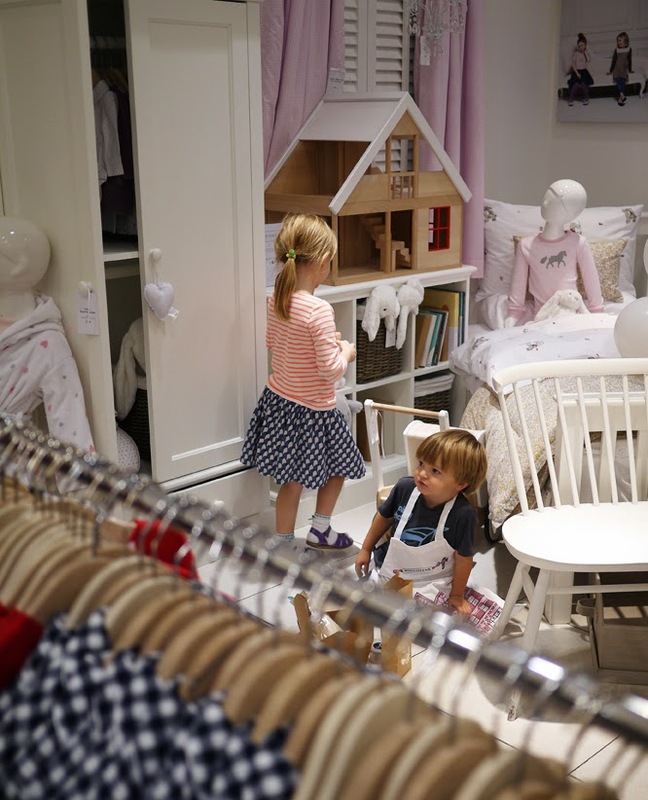 However, last week Coco, Henry and I broke all my shopping rules when we were invited to visit the Little White Company on Marylebone High Street (any excuse to have a little jaunt to Marylebone) for their Shop & Play event. 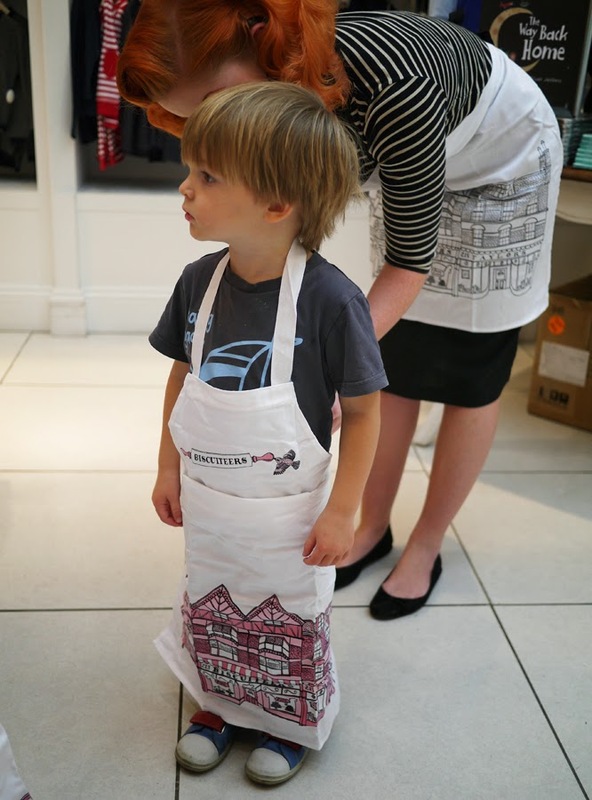 Henry getting ready for some decorating action with the Biscuiteers... he didn't want to take this apron off for the rest of the afternoon. 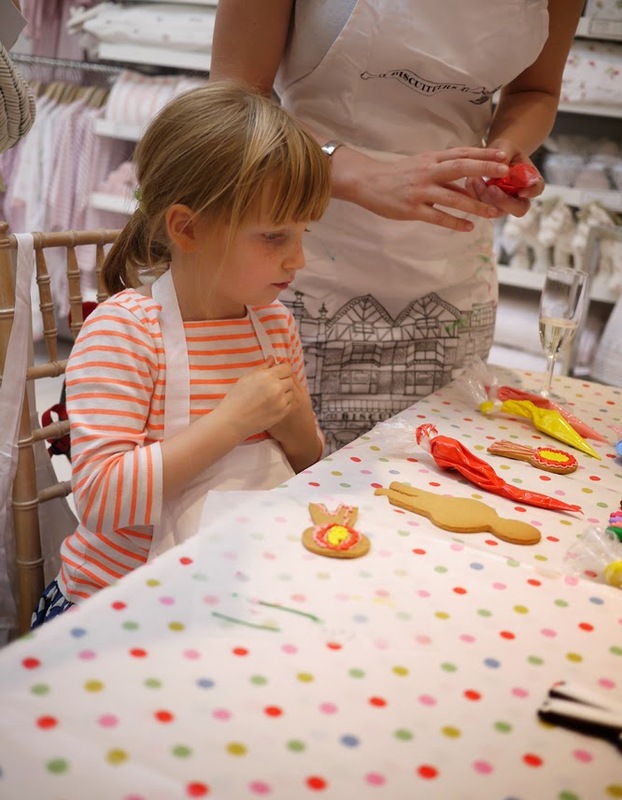 Coco took the biscuit decorating very seriously - the gingerbread was seriously good, I had to do some bargaining on the tube on the way home to get a taste of it and Coco and I agreed that it was the best gingerbread we'd ever tried. 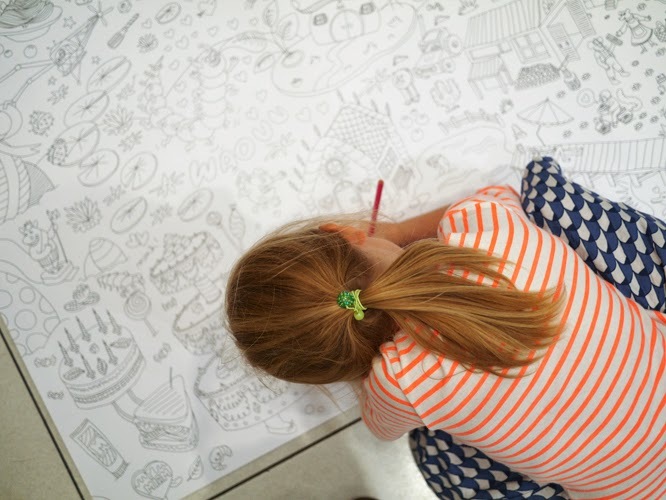 I loved this giant colouring page... reminds me a bit of You Choose, one of our favourite books. So while Coco and Henry were distracted I got the chance to do some browsing; expect to spot this jumper and these tights in some future posts. 1) There are very few un-peppa/minnie mouse-branded nighties to be found anywhere (research carried out at Westfield by yours truly, for my sins). 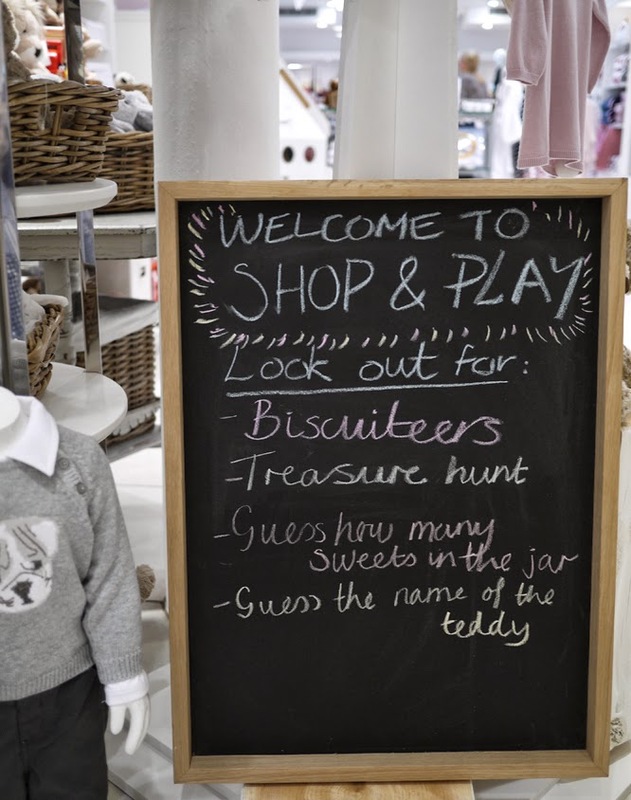 So I think as the Little White Company offerings are both 100% cotton and beautifully un-branded Father Christmas will be making a trip there for some nightwear nearer the unmentionable event. Having a little snack break. Coco on the hunt for treasure while Henry had just parked himself on the floor and worked his way through his snack box... and any other half finished ones he could get his hands on, still in his apron, natch. 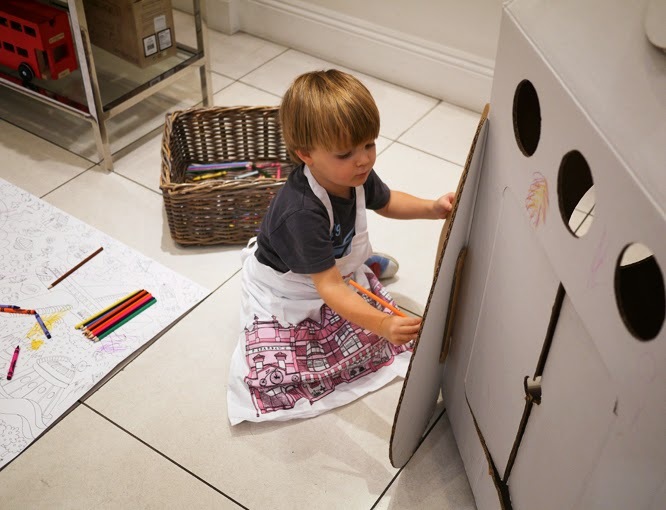 Thanks to the Little White Company for inviting us along to their event. We had a very nice time... in fact I had trouble getting Coco out of there. 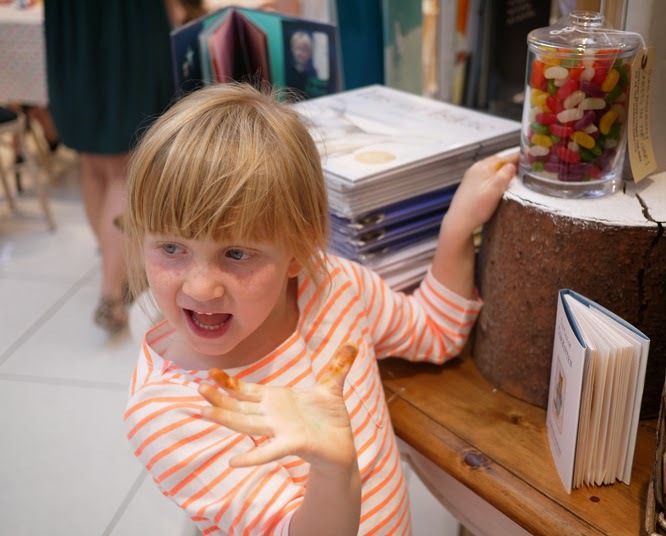 They didn't ask me to blog about this event, but as we had such a great time I thought it was only polite to do so!